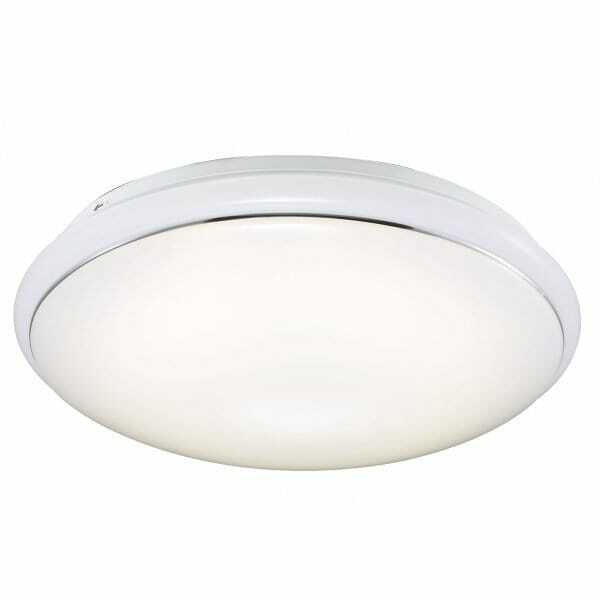 This modern light is a simple design in a round white plastic material, it contains an LED which allows for very low running costs and long life. This light in particular has a 12 watt LED providing around about 840 lumens or 70 watts of standard light. This light would be ideal for anyone looking for effective low energy lighting and would also be ideal for low ceilings.